Why is almost everyone talking about a bipolar diagnosis as something that can never ever be eliminated? Here is one controversial answer: Bipolar is big business. It is said that 5.7 million adults have a bipolar disorder diagnosis in the USA. I am going to guess that about 5 million of these people are taking an average of two tablets per day. So that is 10 million tablets. Even if those tablets only cost $1 each that is $3.65 billion per year just in the USA. As bipolar is said to affect every race and every country, the worldwide bill for medication must be enormous. 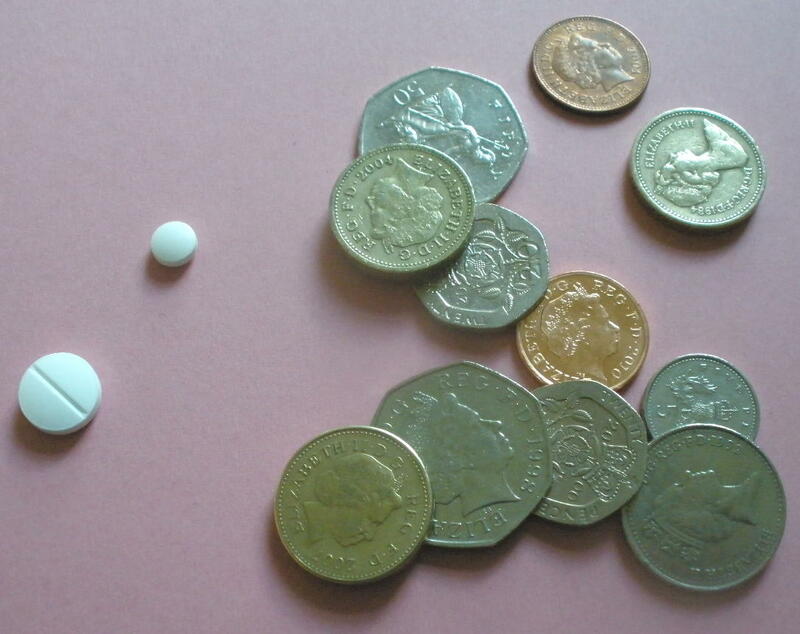 Any kind of therapy after a bipolar diagnosis is likely to be expensive. The clinic Kathryn Zeta Jones stayed in recently was said to charge $750/day . Yes, that is an exception, but even ordinary beds on psychiatric wards cost the tax payer a lot of money. In the UK it costs £1 billion/year for 9,220 NHS psychiatrists . OK, they work on a lot more than just bipolar, but there is no doubt that bipolar is a fast growing sector for psychiatrists. In 1998 the average age of diagnosis in the UK was 39, now it is just 19. Younger diagnosis, with no hope of ever eliminating the diagnosis means more work for the health services and more medication needed over a lifetime. The controversial idea here is nothing to do with anyone being evil or even particularly bad, it is just that there is money to be made and many jobs depending on the growth of the bipolar industry. I cannot claim to be whiter than white here having been paid to deliver training that included phrases like, “Bipolar is a life-long illness” and “Medication is important”. Of course both phrases may be true, but how do we know that they apply to everyone all the time? I am ready to be paid less, if that is what happens when fewer people are diagnosed and a few more people eliminate their bipolar diagnosis. Thanks for such an important contribution to the conversation about bipolar. Yes, it is an industry and I get contacted every day by folks who have been misdiagnosed and heavily and inappropriately medicated. The sad and strange truth seems to be that there are currently many people who actually WANT to be bipolar. I do believe that there are people with bipolar disorder as the illness is classically understood, and that these people do need to stay on mood stabilizing medication such as lithium. The problem lies in the stats and the degree of misdiagnosis occurring. With estimates ranging from 1% to 10% of the population, it is easy to get confused. In my own writing about bipolar disorder stats I think I have been too tentative for too long. I believe the figure to be more like 1% than 10%. Thanks for the wake-up call! Your blog is great. We have just bought Bipolar disorder / Walsh and Smith for the Library. Our catalogue has too many Roger Smiths! Could you possibly give me a year of birth to add to your name? As in my email – I was born in 1958. Of course, selling books with ‘bipolar’ in the title makes this part of the bipolar industry too. 😦 As authors we were paid a lump sum for creating this handbook. We get no royalties per book sold. The bipolar industry is huge and continues to grow so I am not sure anyone working in the health field can claim to be ‘squeaky-clean’. Is there still a need for this book? Unfortunately there is and will be for a few years yet. Too many people believe they have a disorder called bipolar. There is a continuing need to know how to support the millions who have been diagnosed. If we can stop diagnosing people then one day we may be selling books simply on how to support very emotional people with far less emphasis on hospitalisation and medication.